This Song Is For Every Girl Who Has EVER Been In Love With SRK! Growing up with Bollywood, we've formed some pretty unrealistic expectations from life. We expect boys to be like Raj or Rahul and every story to have a happy ending, of course. Also, until we find real life boys like them, we're perfectly content just crushing on the Bollywood celebs who play them! If you've ever had a major crush on a Bollywood celeb then this song is just perfect for you! 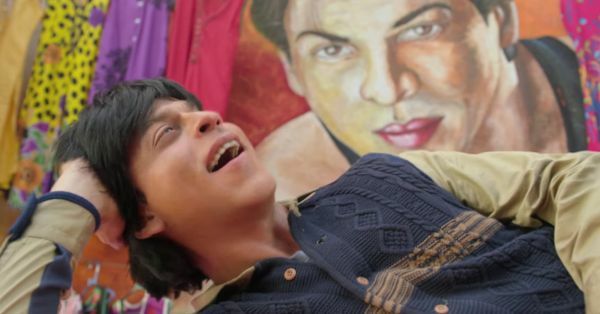 Jabra Fan with SRK is a bit too relatable for all of us, isn't it, girls? PLUS: Subscribe to POPxo on YouTube for original videos + our favourite videos from around the web! MUST-READ: Alia, Fawad & Sidharth In A Love Triangle?! We. Can’t. Wait!!! MUST-READ: He Loves Housework. She Loves Her Job. Ki & Ka Is A MUST Watch!